I am hosting a Halloween evening About the Afterlife next week Thursday, October 30. Halloween is ‘All Hallows Eve‘ and the ‘veil between worlds’ is said to be thinnest. In the catholic church of my childhood, we celebrated All Saints Day and All Souls Day. It’s a sacred time of year. Death touches all of us … and our culture teaches us to fear it. Why do we do everything possible to postpone our exit? It’s some very deep and personal soul work. Last week Tuesday, October 14, Vivian’s book Death by Roses became available, a romantic-comedy story about the afterlife given to her six months after her sister’s death…one that affected her deeply. 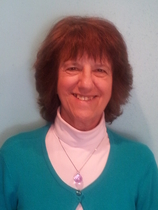 On Thursday, October 17, beautiful Kindred Spirit Center sister Susan Hodges made her transition. And tomorrow, October 22, there’s Mike Dooley’s book, Top Ten Things Dead People Want to Tell You. And so many more… It’s a season of letting go. Hi Anne, I’m going to try to come for this. My closing is that day so I should be able to be free by night time. Looking forward to FREEDOM!!! Hugs, Kathy P.S. If there are more posters to put up I can try to do some then.